Do you have allergies? Do you feel sluggish? Are you having skin breakouts? Do you fart, burp or experience stomach pains after eating? Are your joints inflamed? Are you experiencing brain fog? If you said yes to any of these common complaints, then a cleanse might help you feel better. Your body, like your house and car, needs to be cleaned up and tuned up! Cleaning the inside is different than just taking a shower. It is a way of clearing out all your major organ systems. The Conscious Cleanse, of which I am ambassador to, is a step-by-step, 14-day journey that will teach you how to detoxify your body, ignite a process of deep healing, discover what food makes you feel the best, and create a sustainable way of eating that will support you on your journey to vibrant health and longevity. Sign up here. 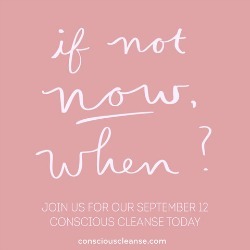 Why do a Summer Cleanse? The end of summer is a great time to reset your body for several reasons. You may have eaten more fun foods because it is a social time, you may have been traveling or you may want to build up your immunity before Fall when so many of us are prone to get sick. Whatever your reason, a cleanse will have some amazing benefits including greater vitality and energy, clearer skin, weight loss, reduction in symptoms such as inflammation and pain, and a chance to figure out which foods nourish your body the best. There are many cleanses being promoted today and many of them are pushing certain products. The cleanse I am affiliated with does not push products, nor does it recommend any diet. It does eliminate all foods that could “instigate” allergic or toxic reactions including processed foods, gluten, dairy, eggs, caffeine, chemically processed seed oils, peanuts, soy, and corn. It encourages you to eat food (fruits and vegetables that are in season) and to eat foods lightly cooked or raw. 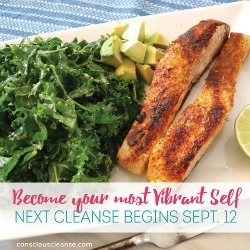 What can you expect during a cleanse? In the summer, there are special advantages to cleansing, according to Functional Nutrition Expert Andrea Nakayama, Summer is a great time to cleanse. “With your Summer Cleanse, you’ll have the opportunity to focus on the health of the small intestine and the strength of the heart’s actions. You’ll boost your body’s ability to receive and deliver nourishment, and tune into what your body needs while you release what you don’t need.” Sounds like a win-win to me. If you would like to sign up for this amazingly easy way to start off the fall feeling your best and have all your immunity strong to fight off this season’s illnesses, sign up here. Sign up for the Free One day Jumpstart here. Please feel free to contact me through my email andrea@heavenlanecreations.com or through my website contact page for a FREE 30-minute consultation, and discover how Heaven Lane can work with you on the path to health and happiness.